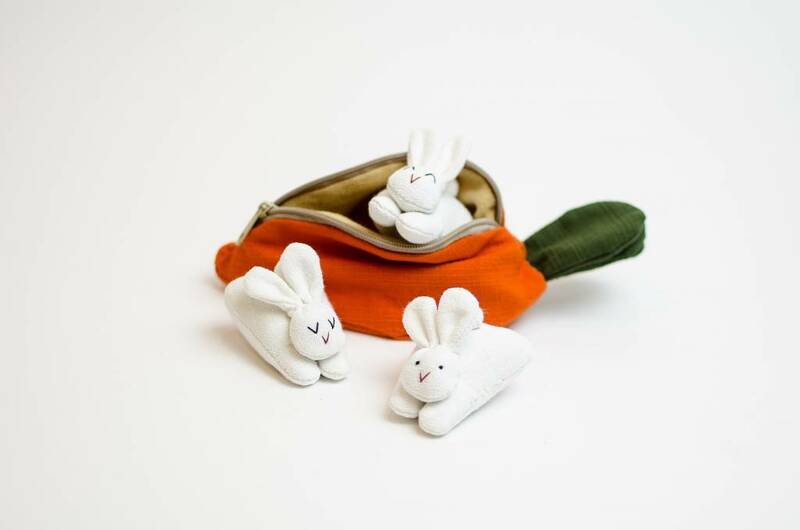 Shhh, there's a trio of sleepy rabbits hiding inside this carrot. 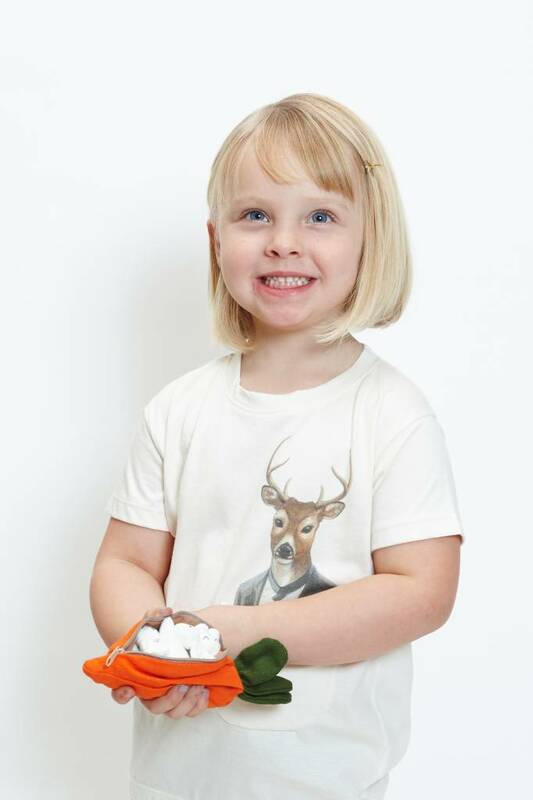 Look inside this handmade, bright orange stuffed cotton carrot and you'll find a surprise inside! 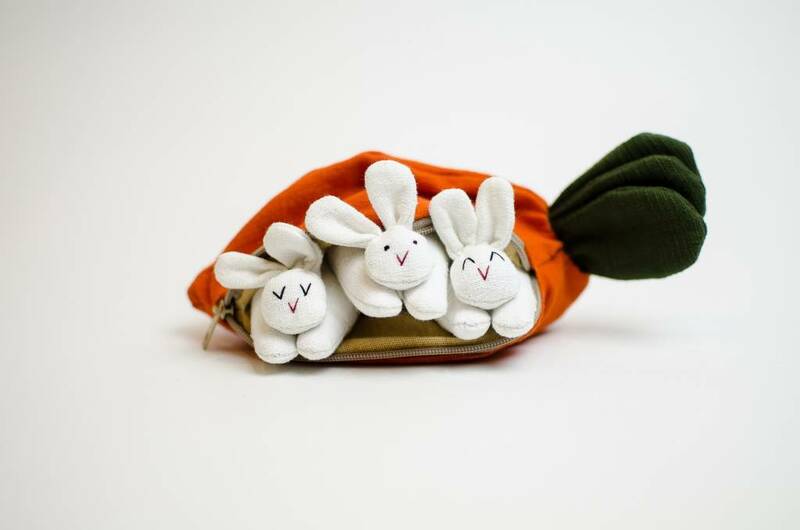 An easy open zipper reveals a trio of sleepy little rabbits. This perfectly portable toy is fun for kids and grown-ups. From Migration's house line. Made in small batches, so colours may vary. For even more cute animals in pouches, check out our Monkeys in Banana and Chicken & Friends.